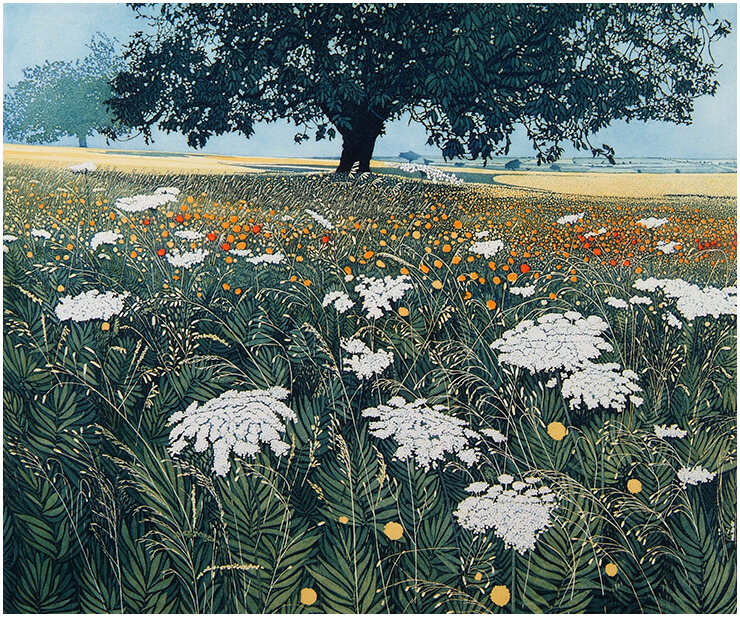 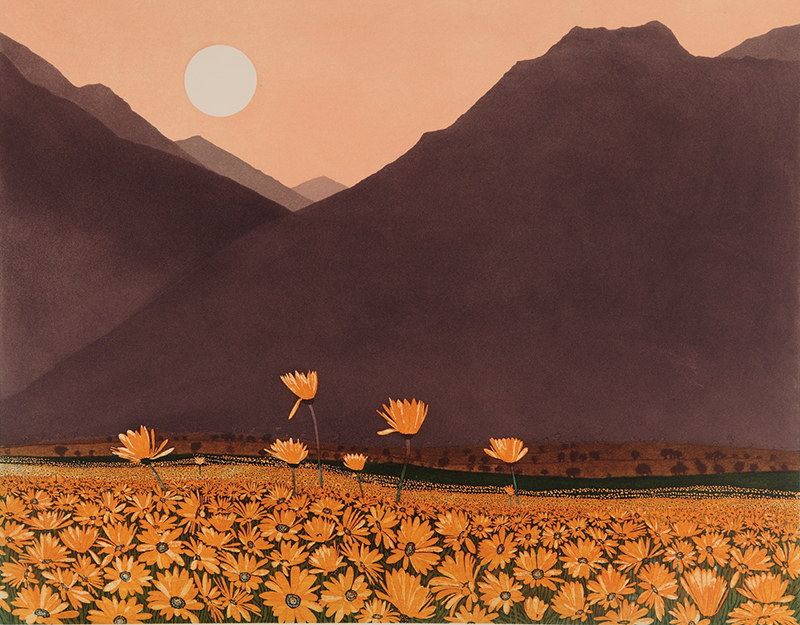 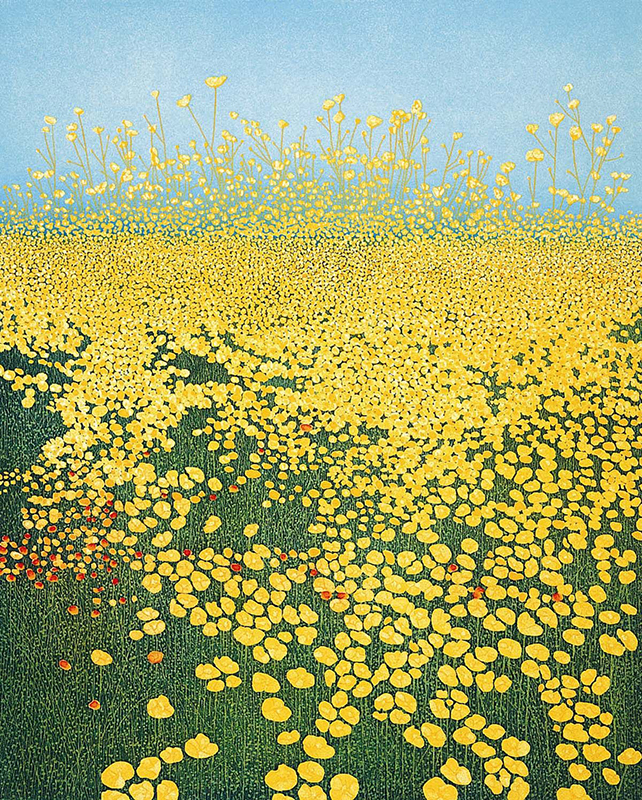 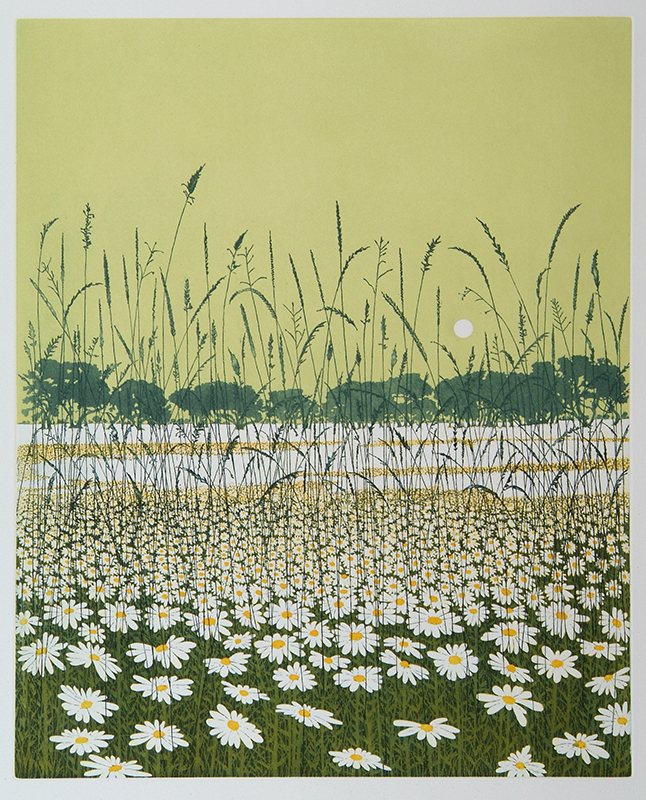 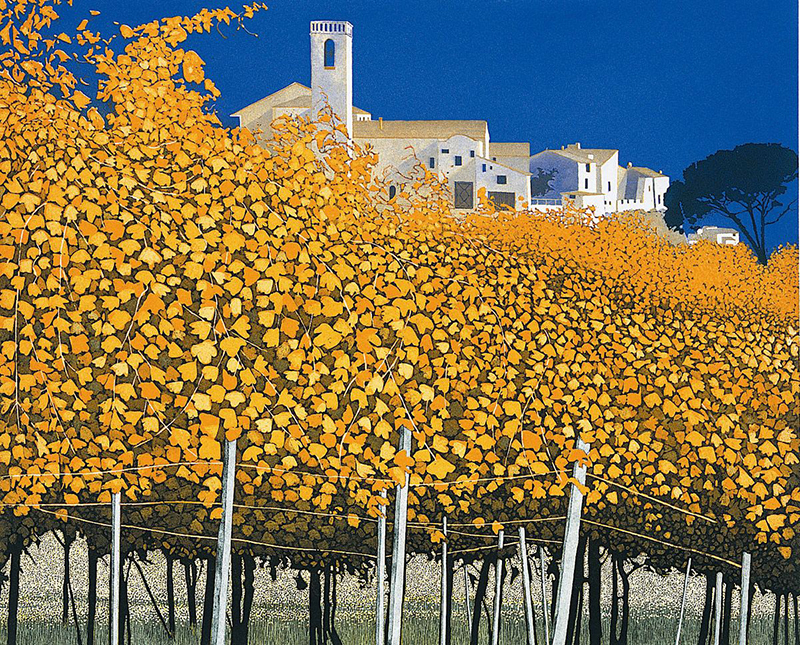 Phil Greenwood was born in 1943 in Dolgellau, Wales and studied at the Hornsey and Harrow Colleges of Art. 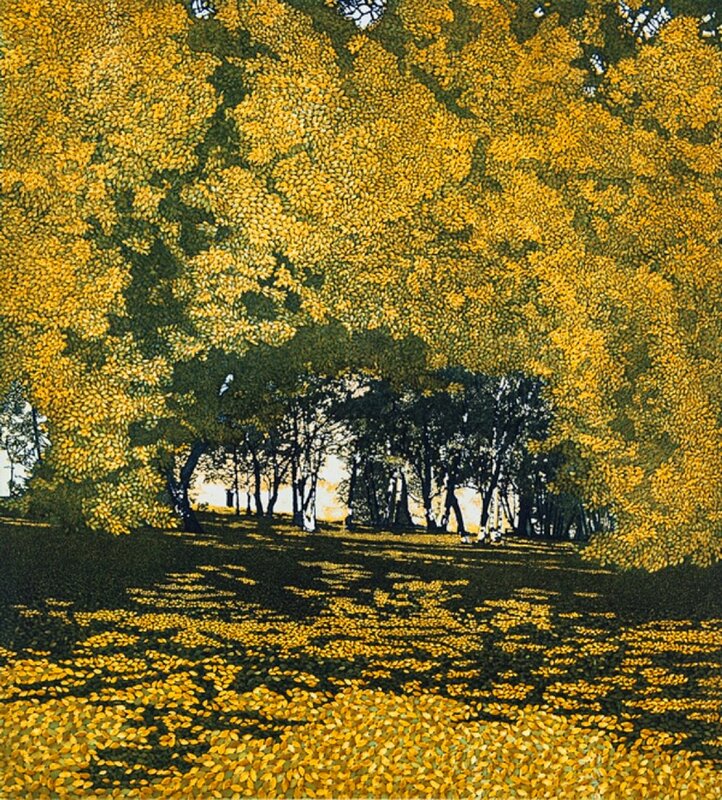 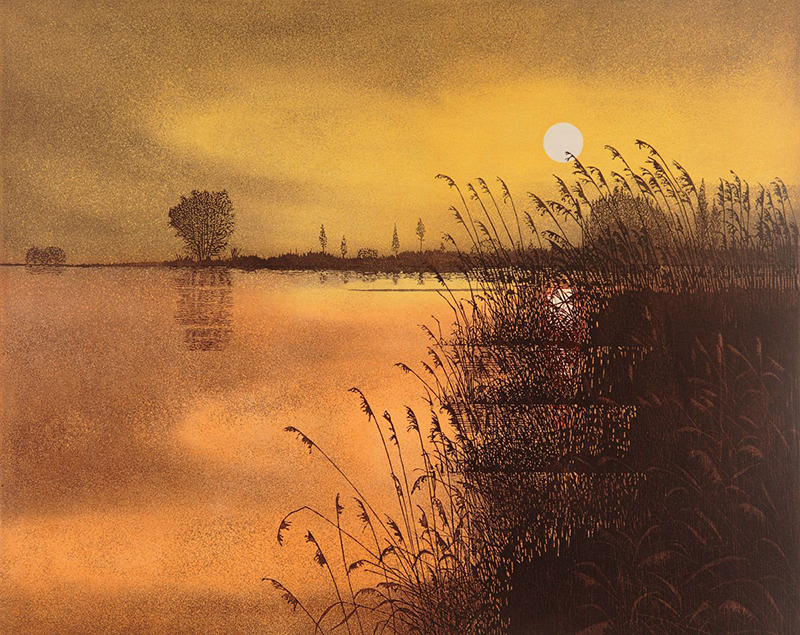 He has taught and lectured in printmaking since 1971 and is a member of the Royal Society of Painters, Etchers and Engravers. 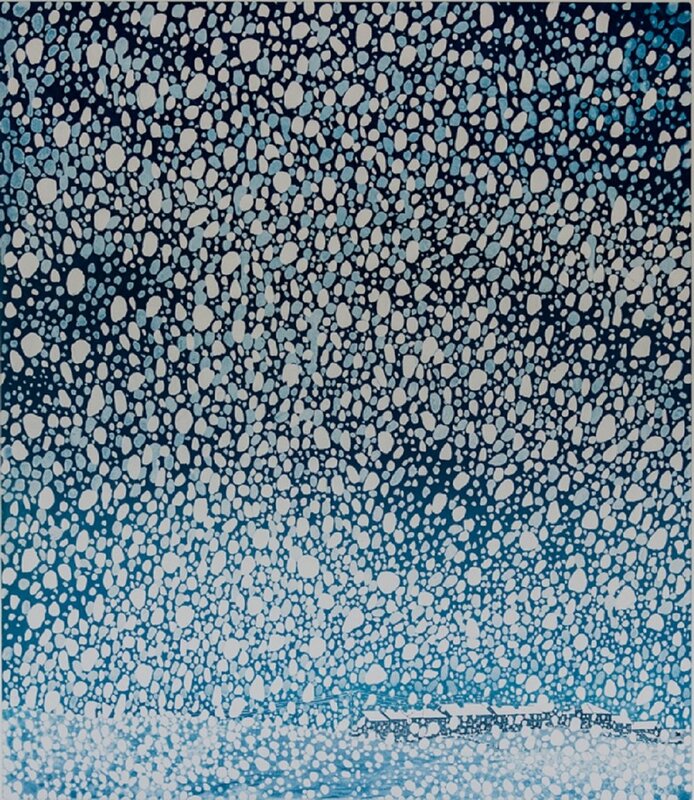 Phil works on the plates for each etching for about two weeks, resolving his artistic ideas within the constraints imposed by the technique and the problems of printing. 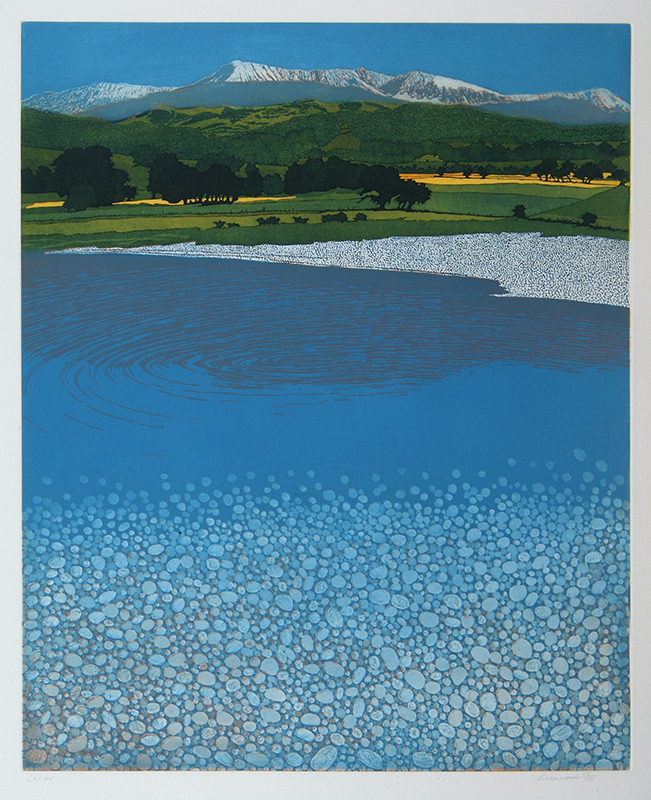 Having worked out the composition of the image, he then decides the colours, and finally adds the detail. 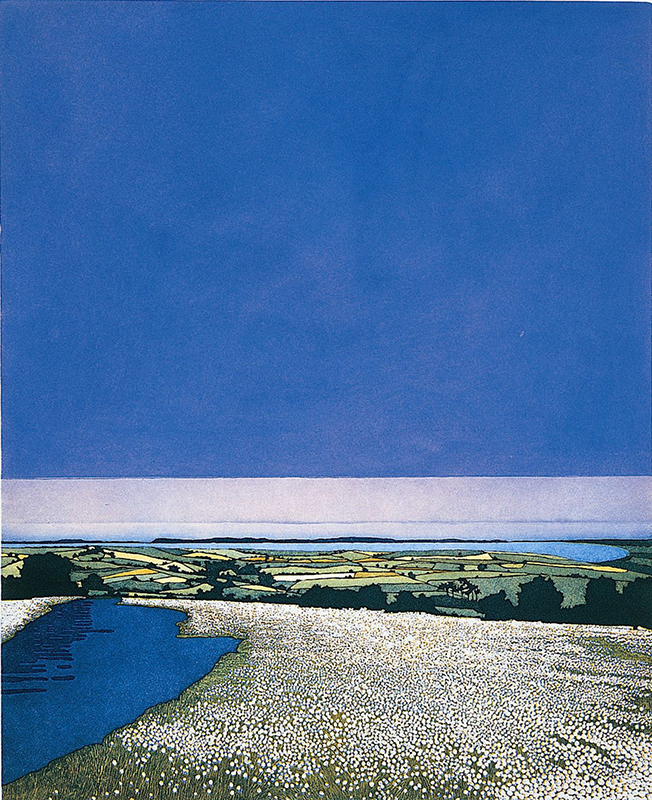 His landscape work seldom relates to a specific place; instead he develops his images from an amalgamation of ideas recalled. 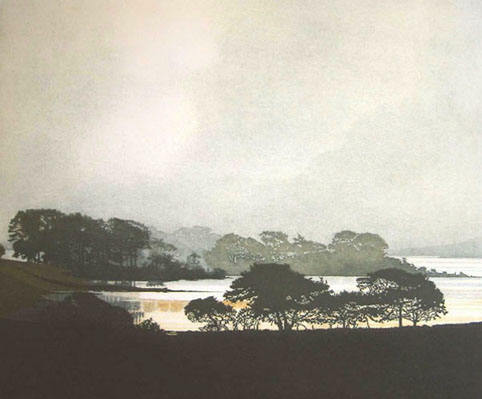 The important thing for him - and this is well exemplified in all his etchings - is the atmosphere of the landscape. 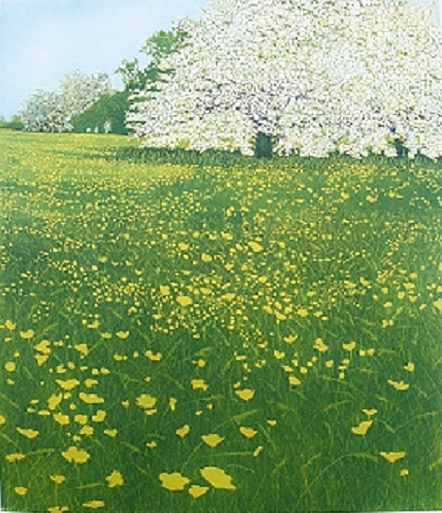 Phil’s work has been exhibited throughout the UK and abroad, and he has been a regular exhibitor at the Royal Academy. 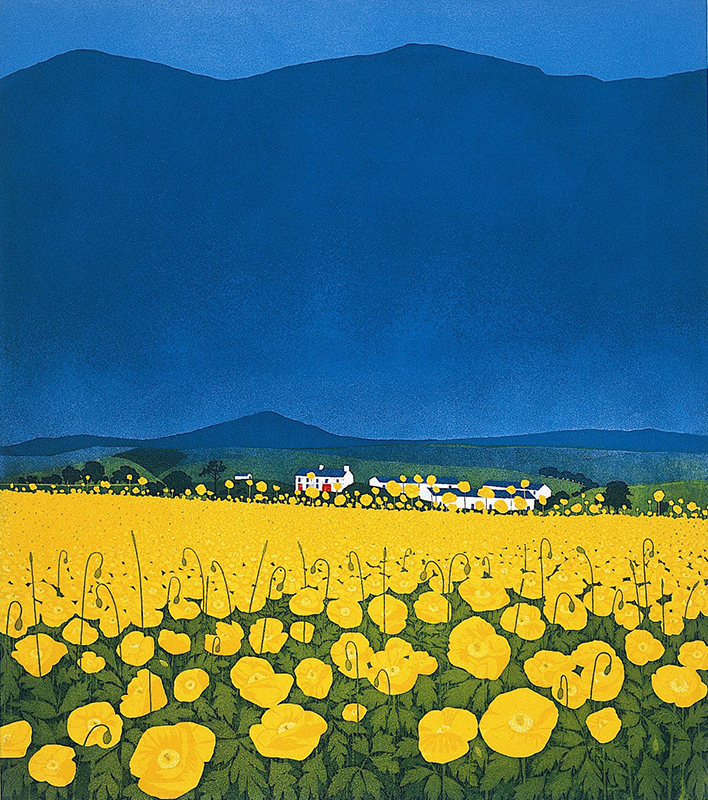 His work is in many private and public collections, including the Tate Gallery, the Arts Council and the National Museum of Wales.